Lock ’N’ Load: Suspense, Intrigue, Love and…K-9s! First there was Chief, a German shorthaired pointer. Technically he was my mother’s dog, and I was quite young at the time and didn’t get to know him all that well. Then came my own dogs. Frosty the Samoyed was the first dog that was truly mine, and I kept one of her puppies, Kobie. They were both so loving and beautiful, all pure white and fluffy. Then came Kiska, my black-and-white, I-just-wanna-run-free Alaskan Malamute. I swear that boy lived to vault over whatever fence I erected to contain him, and he was darned good at it, the little escape artist. But I loved him nonetheless, and I know he loved me right back. After Kiska’s antics, I decided on Belgian sheepdogs and wound up with a brother-sister team, Jet and Taz. The Belgians were total opposites of Kiska. Rather than run away all the time, Taz and Jet actually wanted to spend time with me. Go figure. The Belgians were the perfect combination of brains, beauty, canine adoration, and companionship. Gosh, I miss those dogs. So if you haven’t figured it out by now, I absolutely LOVE LOVE LOVE dogs, and since I don’t have one right now I pretty much dream about them every night of the week. Don’t need a shrink to delve too deeply there to ferret out any hidden meanings. Nope, my wishful thoughts are right there at the surface. Luckily, I have a new outlet for my currently and—hopefully temporary—dog-less condition: my new K-9 series. 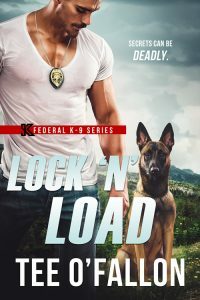 The first of this series is jam-packed with K-9s and hunky men. The stars of Lock ’N’ Load are CIA officer Sgt. Matt Connors and Sheba, his beautiful, intelligent Belgian Malinois partner. Matt and Sheba are a tightknit team, as close as any human partners. Maybe more. 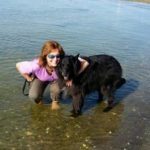 So when severely cynophobic (afraid of dogs) CIA analyst Trista Gold enters their lives it’s a challenge for all of them. 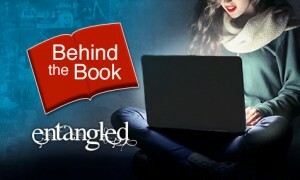 But when someone tries to murder Trista—twice—it’s up to Matt and Sheba to protect her with their lives. These characters may very well be my best yet. I worked hard to create a hero that is totally alpha, all muscle-bound and gorgeous (of course) but with some of the deepest emotional scars I’ve ever bestowed upon a character. Likewise, Trista sorely needs to see herself as others do: as an amazing and beautiful woman. Matt and Trista are exactly what the other needs to complete themselves as individuals, and as a couple totally in love. Set against the backdrop of the CIA intelligence community and all the espionage and intrigue one might imagine goes along with that agency, this is not only one of the most emotional stories I’ve written but one of the most suspenseful. And P.S., you’ll get a sneak peak at Sgt. Nick Houston and Saxon, stars of the sequel to Lock ’N’ Load. Don’t miss Tee’s new release Lock ‘N’ Load!